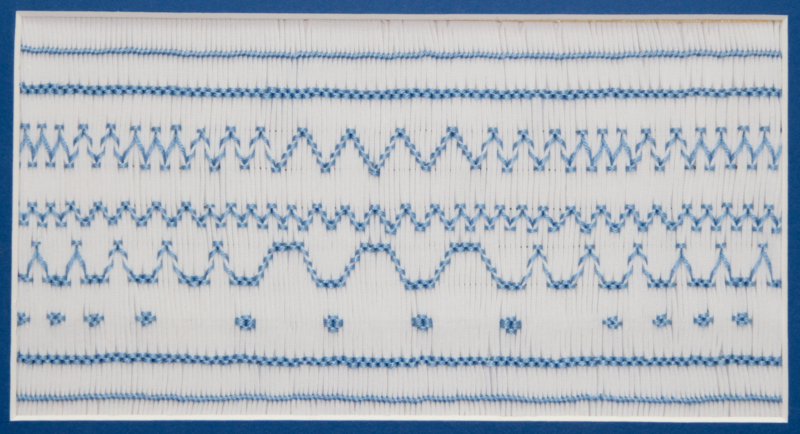 Smocking, an age-old needle art, is simply embroidery stitches accomplished over pleats. Using just a needle and thread you, the needle artist, can create texture, flexibility, design and a bit of whimsy to most any fabric. The stitches taught are: outline, stem, cable, baby wave, trellis, and time permitting florets. Supplies to bring: Scissors, pencil or pen for note taking, lighting and magnification if needed. Kit Includes: Each student will be provided with needle and DMC floss, a pre-pleated fabric sampler on which to practice the basic smocking stitches.